The Steepletone Metro is a multi-function Music System with a 3 speed turntable, tape player, CD player, USB & SD playback and PLL Radio. 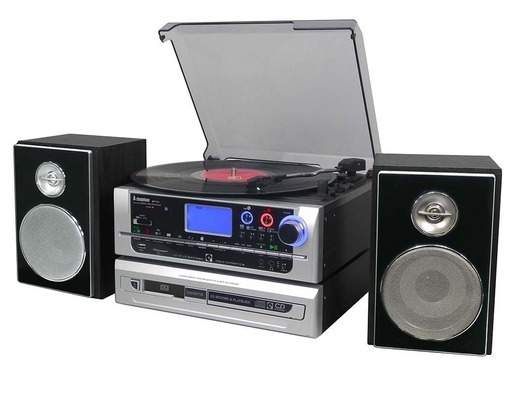 This superb system features MP3 to USB encoding, CD recording and CD-to-CD copying via USB memory buffering. The Metro also includes a headphone jack for private listening and a remote control. Here we have the Steepletone Metro in brand new condition and in B-Stock. The B-Stock versions would have been on display at a training evening or trade exhibition only and will come boxed 'as new' with all accessories and a 1-year warranty.